It's about to become the Year of the Monkey, and about 1,000 people turn out to mark the occasion. WESTBROOK — In China at this time of year, hundreds of millions of people take to the rails and the roads on a journey back home to celebrate the Chinese New Year. 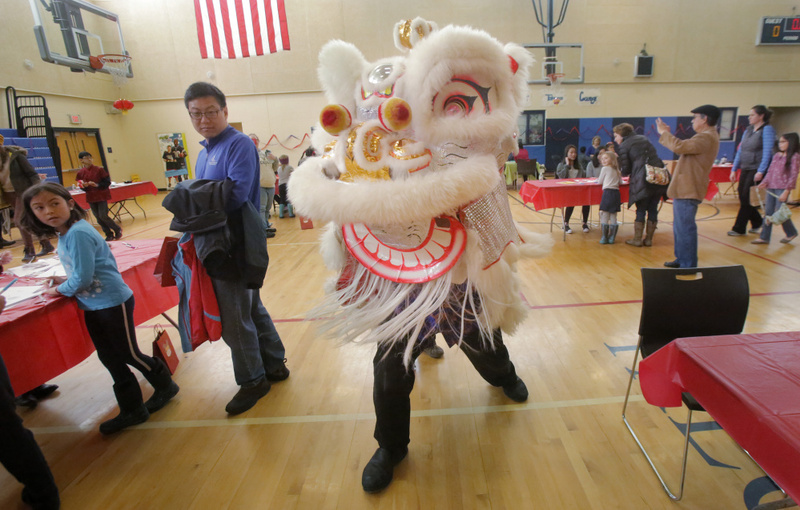 In Maine, those with ties to China travel to Westbrook for the Chinese and American Friendship Association of Maine’s annual Chinese New Year, or Spring Festival, celebration. 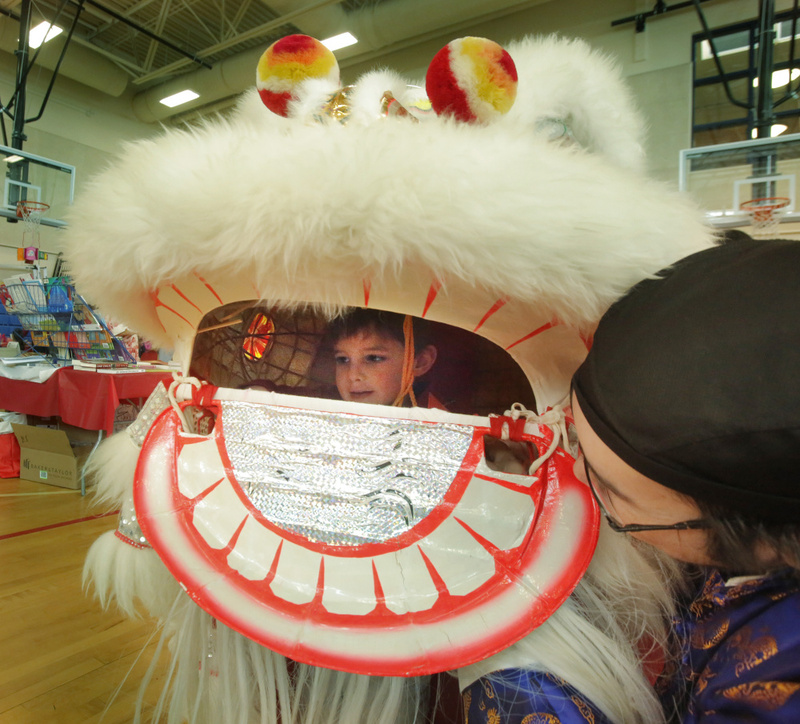 On Saturday about 1,000 people showed up at the Westbrook Performing Arts Center to ring in the Year of the Monkey, which officially starts Monday, with traditional dances, food and other entertainment. It is the largest Chinese New Year celebration in the state and requires legions of volunteers to pull off. The volunteers make special trips to New York’s Chinatown to load up on decorations and make costumes for the event, which also features music, arts and crafts, and mah-jongg demonstrations. “They put in long hours,” said Kwok Yeung of Falmouth, president of the association. The Chinese and American Friendship Association of Maine was founded in 1988 to promote friendship between Americans and Chinese people. The association has about 300 members. Maine’s Chinese population – which is about 3,500, according to the association – arrives in Maine in variety of ways. Yeung, who grew up in Hong Kong, came to the United States as a college student and moved to Maine about 10 years ago to work at Idexx Laboratories Inc. He is now semiretired and intends to stay in Maine, he said. Some, such as Caris Welsh, 10, of Falmouth, were adopted from China by American families. Caris and her mother, Tammy, arrived at Saturday’s festivities early to watch the dancers perform. Caris said she remembered her own days on the stage, joining students from the association’s Chinese School who put on the dance routines. “We love to support the association. But we are also here to get the dumplings,” said her mother. The Chinese New Year marks the start of Chinese lunisolar calendar. The official celebration gets underway Sunday night, the equivalent to New Year’s Eve, with lavish dinners and parties. New Year’s Day on Monday falls on a new moon. The festival ends with the Lantern Festival on the 15th day of the first calendar month. The monkey is the ninth animal in a 12-year cycle. People born during the Year of the Monkey are said to be clever but mischievous. A group of Chinese students studying this year at Cheverus High School in Portland demonstrated some of their New Year’s customs Saturday. “We party all night,” said Jasper Chen, 17, a junior at Cheverus. Chen and his friends Gary Liu, 17, and Ming Zhang, 17, both sophomores, showed how to make red envelopes, which back home are traditionally filled with the equivalent of a $20 bill and distributed to children by their adult relatives. On Saturday the three placed chocolates inside the envelopes instead. They said if they were back home in China, they would probably be helping their families prepare the Chinese New Year’s Eve dinner. Instead, they were looking forward to a trip Sunday to ring in the Year of the Monkey in Boston’s Chinatown.